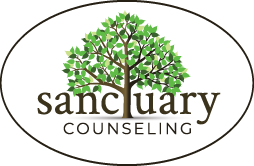 Educational Workshops | Sanctuary Counseling, LLC. Save $50.00 when you register before April 1st! Our Spring Retreat will be held at our Douglassville location over the last weekend in April. You can also check out some of our biweekly counseling groups and expressive arts workshops for more opportunities to connect with our community. Spring is a peaceful, precious time of rebirth and renewal. We are awakened from Winter’s deep, rejuvenating sleep, pushing through the cool, softening soil to begin anew. During this season we are called to ponder what will come next? In what ways will my life be different? In what ways will I be different? Will I be rebirthed onto a new path or renewed in my existing journey? Who and what will come and go? Am I ready for a new chapter.. am I ready to flourish? 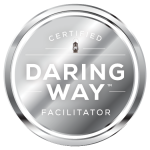 We invite you to explore the next steps of your journey, challenging and empowering you to stand strong and remain curious about the most difficult aspects of your life. Why? Because the story never ends there. What exists past the suffering? What comes next after the grief? What happens after we fall? This group is for those of us who feel called to break loose and move beyond patterns of pain, shame and denial that plague us to manifest our full potential. Our past traumas, failures and mistakes are powerful tools to help propel us forward – let’s make them feel that way. This process can be done in one-on-one therapy, but is exalted, imparting even deeper impact, when done in a group. Our hope is that during this Spring season, you will take these new steps with us. We invite you to join us in gathering as a small group of like-minded, trustworthy, and accepting folks for a weekend retreat. Over the course of three days, we will explore and reckon with our stories, rumble with and challenge ourselves and our perceptions, and empower ourselves to revolutionize what happens next. We will do some expressive arts together. We will share meals together. We will make meaningful connections with others and especially with our own selves and our own stories. We will learn to write and live new endings by daring to go deep enough to examine and own them. We are excited to meet you and share this sacred season. If you have any questions or concerns, please call us at 610-385-3155. Friday, April 26th: 5:00 P.M.
Saturday, April 27th: 10:00 A.M.
Sunday, April 28th: 12:00 P.M. This retreat will be held at 1125 Ben Franklin Hwy West, Douglassville, PA 19518. In order to attend, please pre-register online. You may also call us at (610) 385-3155 or see our Facebook event for more details.